Orange warning for south east. After two days of endless rain MET Eireann have issued an Orange warning for the south east, animal owners are being reminded to make sure all stock are moved to higher ground. 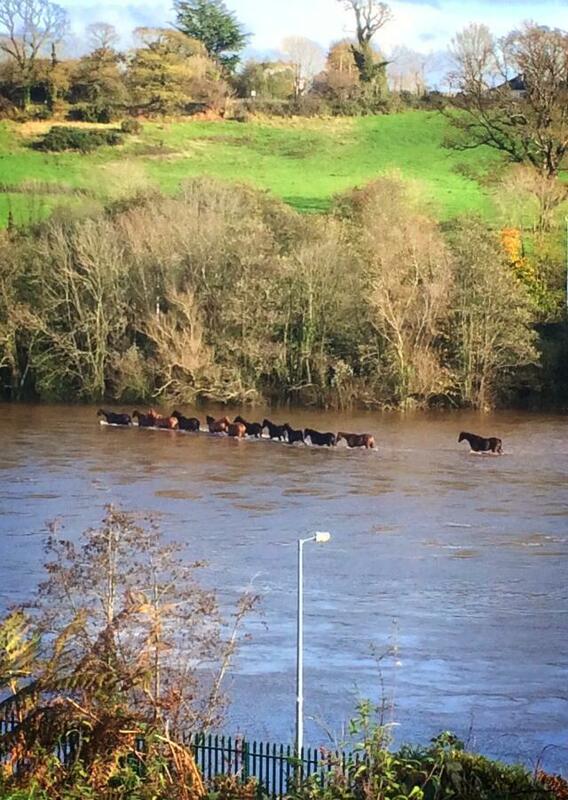 Horses and livestock became stranded with the overnight rain, 12 horses in Enniscorthy managed to escape the floods to a near by field. 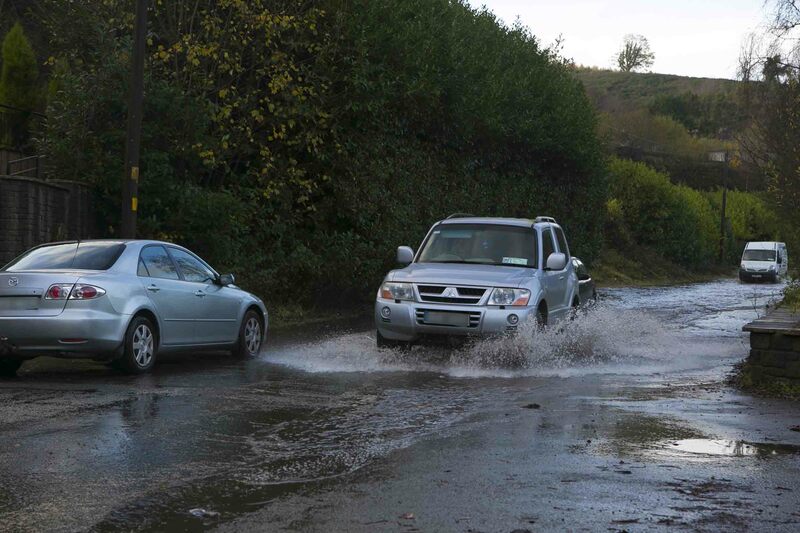 The road at the Whitebridge in Avoca should be approached with care due to flooding and caution should be taken on the road from the meetings to Rathdrum as surface water has become a major hazard. Quarry St, Shillelagh is impassible due to flooding. Diversions are in place. Tonight the scattered showers will continue but become isolated in the midlands and north with good clear spells. However, along the east the showers could turn heavy or prolonged. Lowest temperatures of 4 to 8 degrees in light easterly winds with mist and fog patches forming.